(1947- ) Hillary Rodham Clinton served as First Lady during her husband Bill Clinton’s presidency from 1992-2000. She then served as a U.S. Senator representing the state of New York from 2001-2009. Currently, she is the Secretary of State as part of the Obama Administration. Secretary Clinton came very close to being the nation’s first female presidential nominee in 2008, losing in the Democratic primaries to then Senator Barack Obama. (ca. AD 350/370–415) Hypatia of Alexandria was a mathematician and philosopher. She was the daughter of a mathematician named Theon Alexandricus and last librarian of the Library of Alexandria in ancient Roman Egypt. Hypatia was educated in Athens and Italy and became the head of the Platonist school at Alexandria. Her notable students included Plato and Aristotle. Hypatia is regarded as the first woman to have made substantial contributions to math. In continuing our celebration of the great women around us, here’s a story that found its way into my inbox by chance. I was in overwhelming support to post this on our blog as these are the stories I love to hear. These are the stories that stand as reasons on why I took this post. These are the stories that well up my own pride in Women@NASA. The most recent of these collaborative projects started with the Spring 2011 Innovation & Inclusion Team’s Innovation Charge Account proposal competition. Janice partnered her Space Life Sciences resources together with Nick Skytland’s Open Government Initiative team to submit a proposal for the JSC CIO’s ICA competition, which won one of the charge accounts to fund innovative projects. Over the course of the summer, members of her team and Nick’s team worked together to develop a Liquid Galaxy system, demonstrating the collaboration between NASA and Google for utilization of earth observation data in an immersive wrap-around environment. The initial goal of the project, to demonstrate the immersive capabilities of an open source clustered computing solution, were met with great success. The project was completed in time for the final outbrief presentations in September, and was requested by JSC Senior Management to be put on display in Building 1 from the end of October through the middle of January. Beyond the initial activities of this project, Janice continued to support collaboration with Nick’s team, taking the functionality of the Liquid Galaxy exhibit to the next level. Discussions emerged for potential collaboration with various public and private organizations: Space Center Houston; NASA’s own Goddard, Glenn, and Langley Research Centers as well as NASA Headquarters; and the Pentagon. Several groups within Johnson Space Center have also requested collaborations on Liquid Galaxy or related technology spin-off projects: including Engineering Directorate’s robotics, telemetry, and future vehicle design groups; and Center Operation Directorate’s Emergency Operations Center and Dispatch Center groups. Based on collaboration with ongoing Engineering Directorate projects, several Liquid Galaxy systems in and around Johnson Space Center have been adapted to run new software, including the Mars Rover Simulator, the Habitat Demonstration Unit virtual environment, and International Space Station assembly timeline movie to name just a few. This project has provided an inexpensive solution in the tens of thousands of dollars for many projects that used to require hundreds of thousands of dollars or more to achieve similar results. It also demonstrates the effectiveness of open source architecture for collaboration and utilization. None of this would have been possible without Janice Hall’s keen leadership and desire to pursue innovative solutions for business and technology uses. 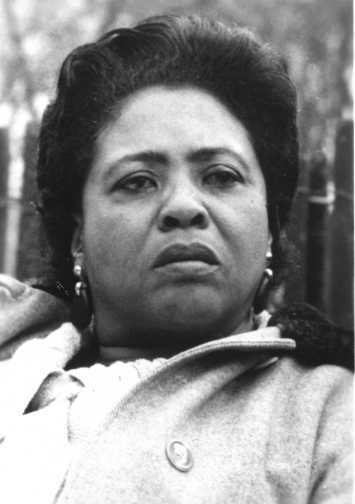 (1917-1977) Fannie Lou Hamer was a civil rights activist, with an emphasis on voting rights. Despite failures in actions she took, Hamer continued to work for things in which she truly believed. For instance, at the age of 37, Hamer joined the the Student Non-violent Coordinating Committee, working to teach African-Americans how to read and write so they could register to vote. As a result, 17 African-Americans tried to register to vote and were denied. Hamer and her family were threatened with expulsion from the plantation at which they were poor sharecroppers. Soon thereafter, she was targeted by the Ku Klux Klan. In her personal life, Hamer was unable to bear children due to a tumor and together with her husband, they adopted four children, two girls and two boys, all from poor families. 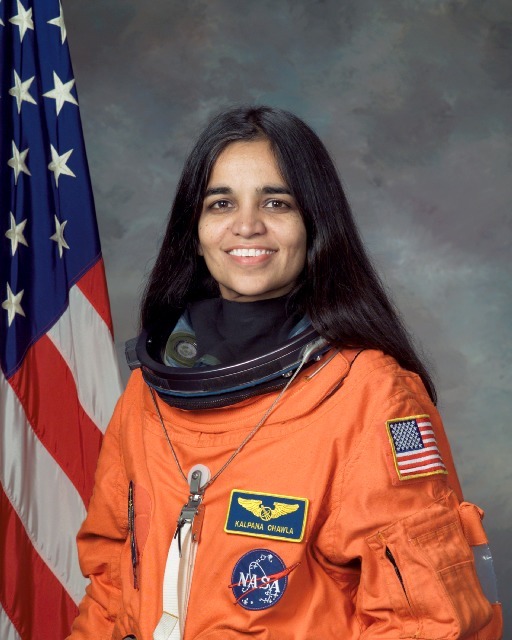 (1961-2003) Dr. Kalpana Chawla was one of our nation’s astronauts with her selection in 1994. She was born in and grew up in India before moving to the United States to attend graduate school in Texas. She worked at NASA Ames Research Center before selection as an astronaut. Dr. Chawla and her crewmates perished in the Columbia tragedy on Feburary 1, 2003. In her personal life, Dr. Chawla enjoyed hiking and flying, and she held a commercial pilot’s license. 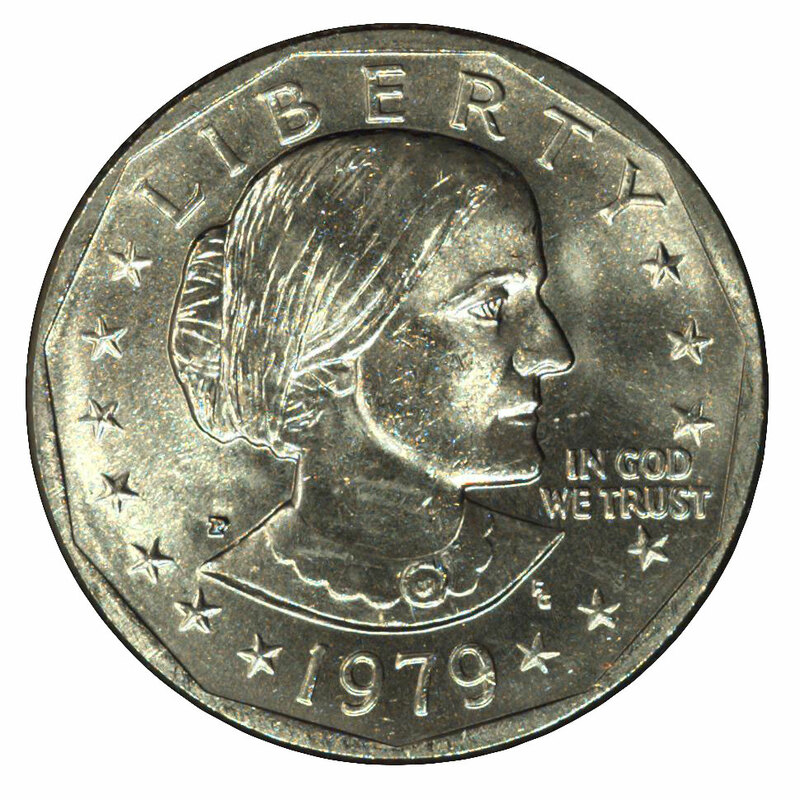 (1820-1906) Susan B. Anthony was an American woman best known for her work in the women’s suffrage movement. Together with Elizabeth Stanton, they led the fight for the 14th and 15th Amendments to the United States Constitution, granting women full citizenship and the right to vote. Anthony was also a leader in the anti-slavery movement in the 1800s, petitioning for the 13th Amendment to abolish slavery in the U.S. In 1979, 1980, and 1981, The U.S. Treasury Department issued the dollar coin bearing Anthony’s portrait. (1929-1993) Audrey Hepburn is most well known for her fashion iconic status and roles in Hollywood films in her early life as well as her humanitarian efforts. In the latter years of her life, she gave her time to UNICEF and countries around the world before succumbing to pancreatic cancer. Ms. Hepburn lived during WWII, having benefitted herself from the work of UNICEF shortly after the war ended. In these ways, she contributed to both the arts and social relief during her years in this world. “The Indian woman informed me that she had been in this plain frequently and knew it well…. She said we would discover a gap in the mountains in our direction…” as written by Clark in his Expedition journal. The gap did exist and is now called Gibbons Pass. (1788-?) Sacagawea is most well known as a Native American woman who was asked to accompany the famous Lewis and Clark expedition from 1804-1806 of the Western United States. She was their guide and interpreter as they trekked from North Dakota to the Pacific Ocean. 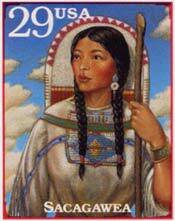 As a young girl about 12 to 14 years of age, Sacagawea was taken captive by the Hidatsa Indians. She married the French-Canadian guide and interpreter Toussaint Charbonneau in her late teems and when he was hired by the Lewis and Clark Expedition, she also came along as legend says. Her name means Bird Woman or White Bird Woman. 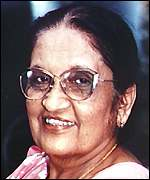 (1916-2000) Sirimavo Bandaranaike was the world’s first elected female prime minister on July 20, 1960, leading the country of Sri Lanka. She served as the head of state for 12 years and then returned to lead Sri Lanka in 1994 for another six years. During her early years, she was expelled after being charged with abuse of power. She passed away at the age of 84 on Election Day in 2000 after casting what would become her very final vote. She had roots in the Sri Lankan government as the widow of a former prime minister. (1937- ) Valentina Tereshkova was the first female cosmonaut to go into space in 1963 aboard Vostok 6. After returning back to Earth, she was honored with the title “Hero of the Soviet Union”, the highest award granted by the entity. 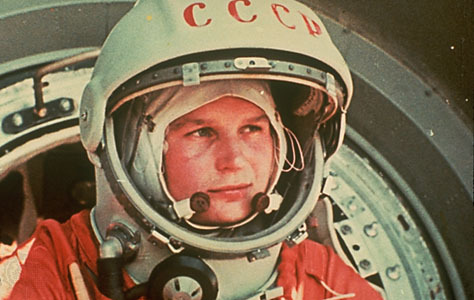 While she never flew again, Dr. Tereshkova did become a spokesperson for the Soviet Union at that time. She also received the Gold Medal of Peace, awarded by the United Nations.